Your Guangzhou or Shenzhen company could be eligible for a tax rebate. It's more common than you think! In this hassle-free service, Hongda's accountants investigate whether you're due one, and deliver the maximum to you. Are you running a WFOE, Representative office, or joint venture in China? You may be eligible for a tax rebate. In the decade or more that Hongda have been working with overseas clients, we're amazed at how often we find that they are running a company in China and are leaving money on the table by not claiming China tax rebates that they're entitled to. If you don't apply for it, the authorities won't come to you with it! Over a year these taxes add up and, depending on your location, industry, and other factors, you will quite possibly be eligible for a tax rebate from the government. But in order to apply you need to know you need to go through a complicated and time-consuming process which takes 3 to 6 months. Wouldn’t it be perfect if someone else could just ascertain if you're eligible for a tax rebate, and finally deliver the funds directly to you? Hongda's expert accountants can do just that. 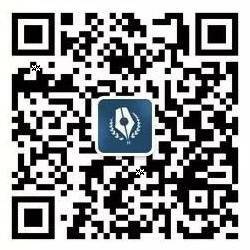 We meet with you to understand your company's unique situation, examine your accounts, and find and deliver the maximum China tax rebate to you for a small percentage of the recovered funds. "No Tax Rebate, No Fee"
This service is risk free to you. Hongda will NOT charge you unless a tax rebate can be covered, therefore it is at no risk to you to apply for this service. We will only take on a tax rebate case if we believe that there is a rebate to be recovered. A FREE face-to-face, or phone, consultation to discuss your business situation in English before we start work to recover the rebate. Progress updates in plain English. The rebate funds delivered directly to your nominated Chinese bank account when available. No surprise costs - The service costs nothing to start, and Hongda will only charge a flat fee of 30% of the recovered rebate. Where Can You Take Advantage Of This Service? How Much Does Getting My Rebate Cost? 30% of the recovered rebate - you pay nothing to Hongda when we begin the project, and we return the rebate funds to you, minus this fee. It usually takes 3 to 6 months to recover a tax rebate. Typically Hongda will only be able to recover a China tax rebate for companies from up to 3 years before. Since a representative office typically pays a large 11.7% of their total monthly expenses in tax, you can expect to gain the largest tax rebates for this company type, although WFOEs and Joint Ventures will also enjoy lower tax rebates. Interested In Obtaining Your Tax Rebate? Hit The Button Below To Request A Free Consultation.